The EERC is happy to welcome Dr. Brian Kalk as Director of Energy Systems Development. Brian and his team focus on developing new solutions and advancing existing technologies for our clients. Brian holds a Ph.D. in Natural Resource Management and an M.S. in Environmental Engineering from North Dakota State University (NDSU). He also holds a B.S. in Social and Political Science from Campbell University, Buies Creek, North Carolina. Brian began his career in the Marine Corps, where he served overseas in Desert Storm, Bosnia, and Iraq and participated in the evacuation of the American Embassies in Liberia and the Central African Republic. Stateside tours included positions such as Environmental Compliance Officer at Camp Pendelton in California and Logistics Officer for numerous units. He retired in 2006 at the rank of Major, at which time he joined NDSU, teaching courses in Natural Resources, Logistics, and Political Science. 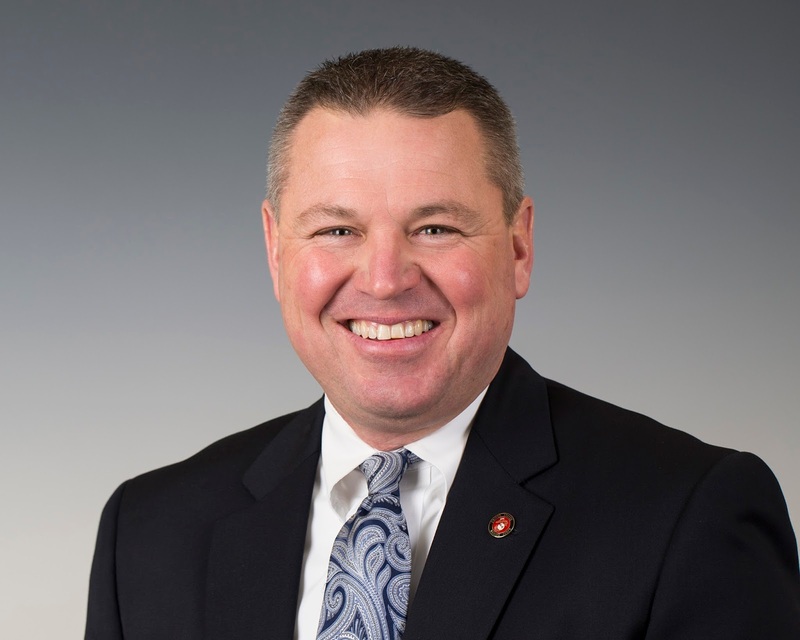 From 2009 to 2017, Brian served as a member and Chair of the North Dakota Public Service Commission, where he held portfolios in Electric Generation and Transmission, Pipeline Safety, and Telecommunications. Brian's principal areas of interest and expertise include pipeline safety, species management, electric generation, and transmission planning. He is a member of the National Coal Council. Brian has also served as President of the Midwest Area Regulatory Commissioners, Chair of the Clean Coal and Carbon Management Committee of the National Association of Regulatory Commissioners, and member of the 2015 U.S. Department of Energy Clean Coal Technology delegation to China. He has provided input, review, and oversight on state and federal energy policies. Not surprisingly, Brian has seen many changes in the energy industry over the last several decades and has insight on the changes and challenges facing the United States in the future. "The world's population will continue to grow, straining our energy resources and presenting new environmental challenges. Energy demands will continue to increase in all regions of the world, making it ever more important that we use all sources of energy wisely and assist other nations to promote regional stability. I have always believed that energy security = national security. The United States must use all sources of energy and acknowledge that there are pros and cons to each," Brian said. "The knowledge, experience, and drive of the EERC position us well to be the 'go-to' research body when it comes to the complex problems we face. The reputation of the EERC is second to none," he added. "I look forward to working with the 'best of the best' and being on the cutting edge of the development of new technologies and applications of the next generation of solutions to energy system problems. I'm excited to be part of the team." Brian and his wife have been married 26 years this summer. She is a special education teacher and hopes to work in the Grand Forks area soon. Their daughter is a reporter in Cedar Rapids, Iowa. When he is not working, Brian enjoys golfing, hunting, fishing, and watching UND hockey and Bison football. The EERC welcomes Nikki Massmann as the Director of Communications, where she works in partnership with clients on media relations and communication strategy for collaborative projects. Nikki also works with the EERC leadership team developing and implementing communication initiatives. Nikki's principal areas of interest and expertise include strategic communication planning, media and public relations, information dissemination, social media, and marketing. She sees this job as a perfect fit for her. "This position is the perfect blend of my past career experience and interest areas. Every day is different - one day I'm working with engineers on strategy for a public outreach campaign for their research project; the next day I might be giving a tour of our facility to elementary school children. The research we do here is fascinating and reaches all over the globe. I love being able to help people connect that research to their everyday lives," Nikki explained. 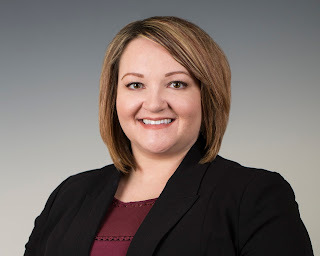 Prior to her position at the EERC, Nikki served as Communication Coordinator at the Center for Rural Health, located at the University of North Dakota School of Medicine and Health Sciences. She also has experience working in quality assurance, technical writing, and project management in the healthcare field. Nikki holds a B.S. degree in Scientific and Technical Communication from the University of Minnesota, Crookston, and is currently pursuing a master's degree in Higher Education from the University of North Dakota. Regarding the communication field, Nikki says, "Technology has completely changed the way we send and receive information. Online sources, text message alerts, smartphone apps, and email newsletters are now part of the normal communication landscape. Social media, in particular, is a valuable way to engage audiences. It has become an essential piece of communication in this era; it's a great addition to existing communication channels, such as print materials, face-to-face interaction, tailored key messages, and public relations." A native of Crookston, Minnesota, Nikki credits her parents' influence for her current career. "I grew up listening to my dad, a broadcaster on local radio, and loved going to work with him on 'Take Your Daughter to Work Day.' I ended up working at the radio station part-time during high school and college and liked the excitement of interacting with the public. I have always used writing as a creative outlet and discovered a natural ability for building relationships and connecting with people through my writing and everyday interactions," Nikki said. "Add in my interest in science and healthcare inherited from my mom, who is a nurse, and I ended up with an eclectic combination of interests that drew me to the scientific and technical communication field." Nikki's husband is the logistics manager at the North Dakota Mill & Elevator. They have two daughters, ages 14 and 8, and one son, age 10, all very active in music, theater, dance, and soccer. When she is not attending her children's activities or doing her own schoolwork for her master's, Nikki is an avid reader and enjoys spending time socializing with friends, attending concerts, and watching television.